Good Luck to our Mead Panther Swimmers This Weekend! Good Luck today to Delaney, Ryan, Emma, Abi, Karlee, Andrew, Kanyan, Ethan & Dominik. 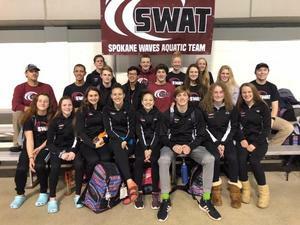 They are competing this weekend at The Pacific Northwest Swimming 2018 PN Washington State Senior SC Championships in Federal Way, Wa. Good Luck Panther Swimmers! 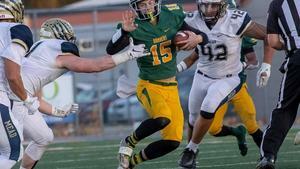 Destiny Scott are Mead High School's 'Blue & Gold' Athletes of the Fall Season. 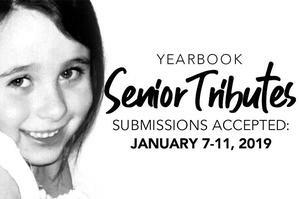 Senior Tribute submissions accepted January 7th-11th, 2019. 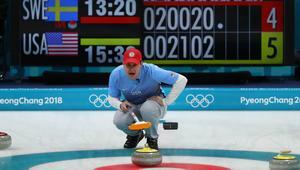 Practices for Our Winter Sports Teams begin Monday, November 12th. 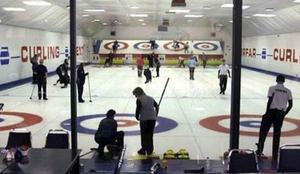 Read more for a complete list of practice schedules. 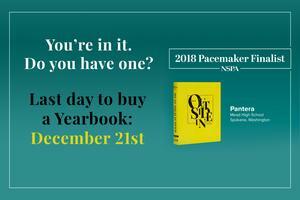 Buy YOUR Award Winning Yearbook! 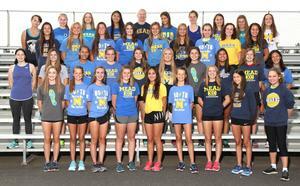 Mead Girls Cross Country Team Earns Academic State Championship! 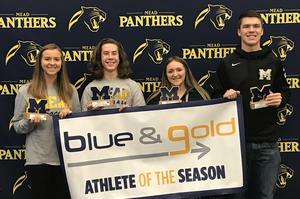 This year's event, held September 22nd at Wandermere Golf Course, raised a record $70,000 in support of Panther and Wildcat Athletic Programs. Thank you to all of our Title Sponsors, Golfers, Contributors and the Mead Community for your support. Come Join Us For Elf-Fest 2018! Are you looking for some holiday fun with family that also happens to benefit our Mead choir?